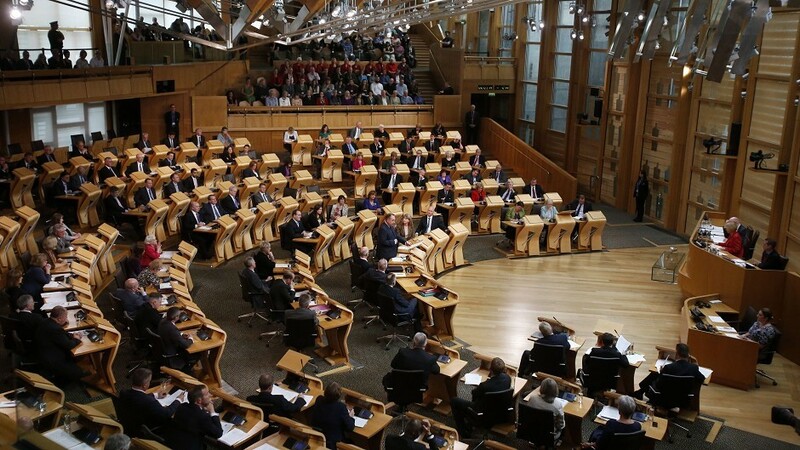 The Scottish Parliament could get elected committee conveners. Scottish Labour deputy leadership hopeful Katy Clark has said the party must “face up to reality” and admit it had abandoned the public. She said it was “not the people who have walked away from Scottish Labour but Scottish Labour that has walked away from them”. The MP for North Ayrshire and Arran, in her first substantial pitch for the job, said: “We need to face up to the reality. “We need to reach out to those who have abandoned hope in Labour and those who voted Yes in the referendum. Ms Clark, who is competing against Lothians MSP Kezia Dugdale for the deputy leadership job, claimed the referendum demonstrated that people have rejected neo-liberal policies pursued by successive UK and Scottish governments. She claimed they were demanding economic and social change but previous Labour Governments did little to challenge free-market dogma which resulted in growing inequality, insecure employment and a housing shortage. Ms Clark said: “We need to show we have listened by ending the austerity policies being pursued today. “The people are demanding a council house building programme that will deliver affordable homes for all, changes to employment law that guarantee everyone a decent wage in a secure job with investment in high quality publicly-owned services. The Socialist Health Association said it was backing Ms Clark for the job. Dave Watson, the organisation’s secretary, said: “Katy has a proven track in campaigning on difficult issues and understands that politics as usual simply won’t do. East Renfrewshire MP Jim Murphy and Lothians MSPs Neil Findlay and Sarah Boyack are standing for the Scottish Labour leadership. The Musicians Union yesterday became the ninth trade union to endorse Mr Findlay. He is today calling for the devolution of elements of employment regulation to Scotland. Mr Findlay, who will address the Conference of the Scottish Hazards Campaign in Glasgow, wants to establish a Scottish Health and Safety Executive and introduce a Corporate Culpable Homicide Act.